A couple of Stanford students fed a computer over 400,000 memes in an effort to teach it how to generate its own. When they were finished, and the machine was trained, they looked upon their creation and decided it was dank. Dank Learning is a method for generating memes using deep learning. Just like any other neural network, it bounces an idea around between different learning layers until it comes up with something similar to what it’s been trained on. People learn the same way. One does not simply slap together some words and pictures and call it a meme. It takes a discerning eye and a keen wit to create a successful meme, and most machines aren’t very funny. In order to determine the, uh, ‘dankocity’ of the AI-generated memes, the researchers enlisted human volunteers to review the images. 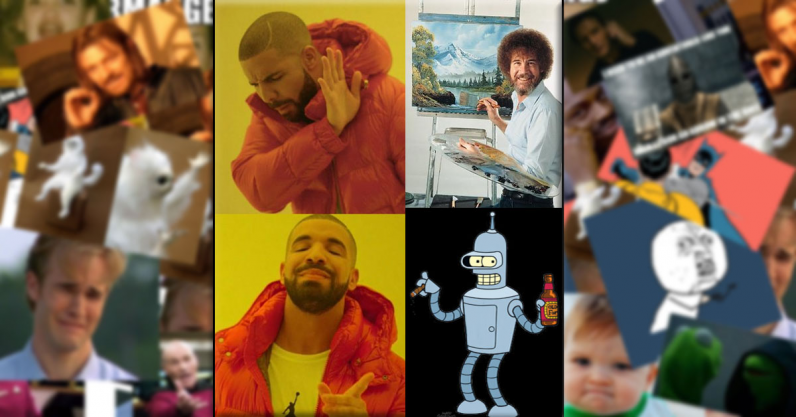 The reviewers were given images created by humans and machines to determine if they could tell them apart, and asked to rank images by order of hilarity. For our final test we show 20 different memes to 5 people from diverse backgrounds and note if they can differentiate them from real (training set) memes of the same format and random text generated memes. The same people also ranked the memes being shown on how funny they found them on a scale of 0-10. The average meme produced from both is difficult to differentiate from a real meme and both variants scored close to the same hilarity rating as real memes, though this is a fairly subjective metric. Don’t just take the researchers and their volunteers’ word for it though. Below you’ll see a selection of memes created via Dank Learning. Do any of these machine-made memes make you ROTFL? These memes were produced by the “Dank Learning” AI using two different models. While it’s possible the research duo were simply pursuing a mutually interesting use-case for machine learning, I’d like to believe they had a more lofty agenda. In my entirely uninformed opinion, Dank Learning is an AI-generated meme challenge to universities around the world. That’s right: it’s a meme-off. What you got Harvard and Yale?